While the Chobe river, Central Kalahari Game Reserve and the Okavango Delta are the most visited and popular destinations for a Botswana safari, there are other intriguing places to visit that talk to the culture and history of this ancient land. Tsodilo Hills in the north of Botswana is a sacred place for the continent’s oldest people; the San bushmen. Legend has it that these hills are the birthplace of creation, and the hills have a collection of about 3 500 rock paintings that are believed to date from 800 to 1300 AD. Declared a World Heritage Site, this area is rich in history and the San people consider this area to be a place of worship. In traditional folklore, no death may occur around these hills. Perhaps the most interesting on these rock paintings are the depictions of whales and penguins, suggesting that perhaps the site was used by other people too. Tsodilo is not a wildlife hub, but there are unique species that occur only in this area such as the Tsodilo gecko and some antelope species. Cheetah are believed to reside here, but are rarely if ever seen. Tsodilo is a great place to visit on a self-drive journey. Situated close to the Zimbabwean border, Francistown is the second largest city in Botswana, but the oldest. Originally a gold mining town, the height of the gold rush saw Francistown transformed into bustling frontier town. These days, there are still remnants of the mining industry but as whole, this town has blossomed into a relatively modern city. As the entry point to the Makgadikgadi Pans and other top tourism destinations, Francistown is worth a visit, if only to experience an authentic Botswana. Slap bang in the middle of the Makgadikgadi Pans lies Kubu Island. This dry and flat landscape is populated by large granite rocks that give this ancient area its name. Archeological digs have revealed a number of ancient tools that have been dated to the Stone Age and the landmark is of great spiritual significance to the local people. A special trust was established in the 1900’s to protect the landscape from irresponsible tourism. This is a fascinating area to visit, and there are opportunities for a self-drive and camping adventure. 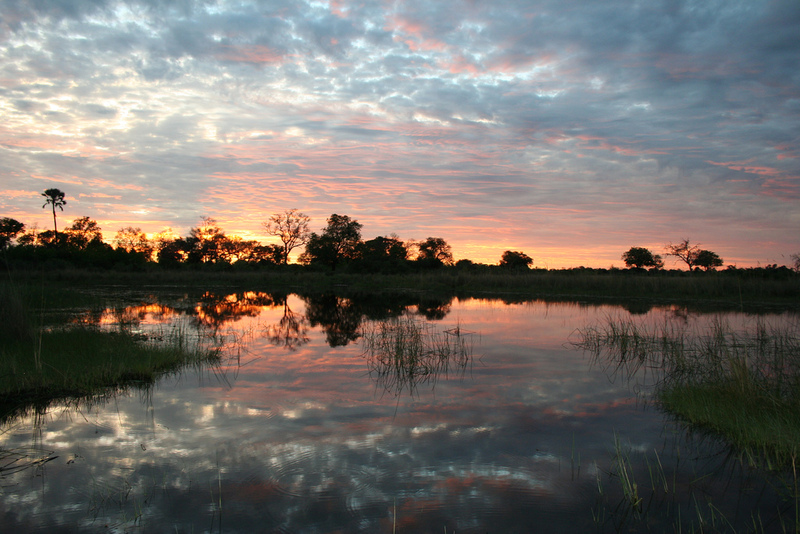 Botswana has a legacy of proactive conservation efforts, supported by government in order to preserve the wildlife and history of the country. As a result, endangered species have flourished here. As a safe haven for the critically endangered rhino, this sanctuary is a community-driven conservation centre. In addition to black and white rhino, there are 30 species of animals and 250 species of birds that call this place home. Game drives, an education centre and camping facilities are all available at Khama. This is a great destination for families with young kids looking to learn a bit more about the importance of conserving Africa’s precious wildlife. You can include these destinations in your tailor-made safari, so please do contact us for more information.